There is no 'why', there is just Science... and death rays! 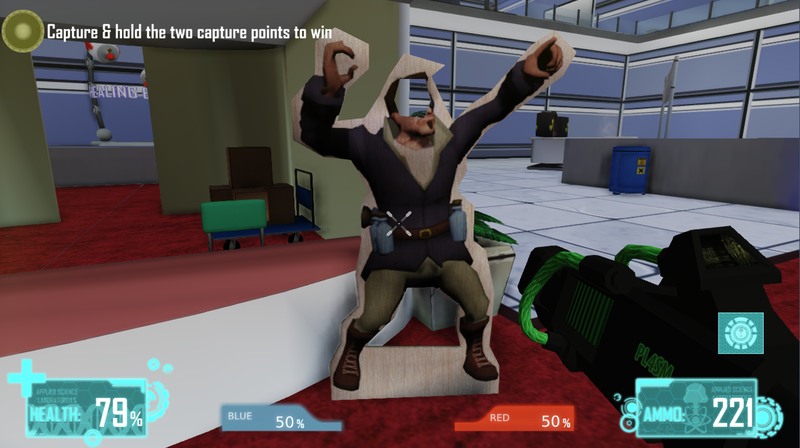 Applied Science is a class-based FPS designed around mad scientists and their zany experiments. Choose from an Atomic Physicist that can deploy a bullet-halting time field, A chemist with a poisonous gas problem or a Particle Physicist with a disposition for teleporting. Where can I order a life size one of these?